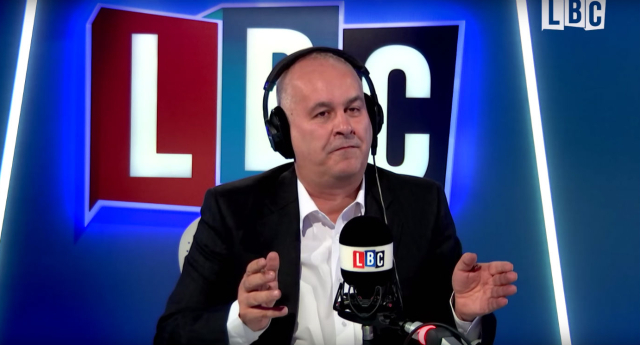 Well known Brexit supporting LBC talk show host Iain Dale has revealed the lengths that the BBC will go to in order to push the remain narrative. He has said that in a debate the BBC wanted him to go up against three Remainers in a panel discussion on the February 22 edition of Newsnight. Dale then asked for 50 per cent of the screen time in order to give himself an equal chance the BBC responded that it would be “unfair”. Dale explained: “I was invited onto a BBC programme a few weeks ago and it was going to be me versus three Remainers and this was on the evening of the Chequers exchange. So I said ‘well okay if you give me 50 per cent of the air time and you give them 50 between them, I might consider it’ and they said ‘oh no we couldn’t do that because it would be unfair’." More and more people are turning off the BBC as they grow tired of its anti-Brexit news coverage and also its overall agenda in pushing politically correct stories that are out of tune with the majority of hard-working people across the UK. Read: "As EU Juncker clings to job his latest remarks about the UK have caused OUTRAGE!" Read: "Shock Government report on numbers of people unable to speak English in the UK"
Every one and is friend know that the BBC are grossly biasd on many subjects. All that I will say is when we are out and back in control. The BBC elite and Common Purpose will get a rude awakening. Not long now people……………..VET TOM T.